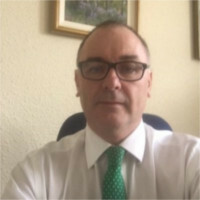 E M Sheehan Limited T/A E M Sheehan & Co Chartered Certified Accountants – dealing mainly with unincorporated entities, including doctors, dentists and other health specialists. We have a range of services on offer, including compliance health checks, Company Secretarial, Vat and payroll services, bank finance applications, Inland Revenue investigations and computer assistance as well as Accounts Preparation and related Tax Returns and computations. E M Sheehan Limited deals with all aspects of accountancy; including taxation, payroll, VAT, business start-ups and strategic development as well as many more. With a personal, friendly service to all businesses, limited companies, partnerships and sole traders, E M Sheehan & Co are the Accountants to trust! Fellow of the Association of Chartered Certified Accountants – with over 35 years’ experience in dealing with small businesses and limited companies. Keen angler and sportsman. Member of a number of professional Organisations including QuickBooks Pro-Advisor, 2020 Member, FSB member and others. Una is a Fellow of the Association of Chartered Certified Accountants (FCCA). She has worked for E M Sheehan Limited from September 2007. 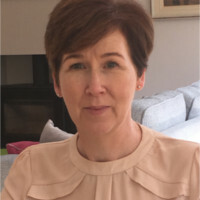 Prior to that she worked in Industry as an Assistant Accountant both in Belfast and Dublin, in businesses as diverse as wholesale, as well as direct to public, retailers and a large aeronautical company. She has varied experience in dealing both with large complex clients and those businesses that are family run. Una has recently gained the qualification as a QuickBooks Pro- Advisor. 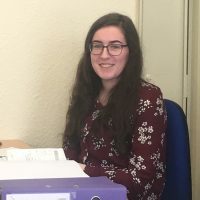 Natasha joined EM Sheehan Limited in 2015, having achieved a 2:1 Honours degree in Business Studies from the University of Ulster, Jordanstown. Natasha assists with the preparation of Accounts, vat returns, payroll and company secretarial work and is currently studying towards the ACCA qualification. Outside of work Natasha is a keen sportswoman, playing Gaelic football for her club Bryansford and has represented her county on numerous occasions. She also plays soccer for Valley Rangers Kilkeel and enjoys travelling. Part Time Administrative Assistant whose duties include invoicing, assisting with accounting procedures, handling payments and general office duties. Has several years’ experience working in similar environment. Studied at Portadown Technical College where she achieved GNVQ level 4 in advanced Business & Finance and was awarded distinction in computerised book-keeping. Jenna joined EM Sheehan Limited in June 2018, after gaining 3 A Levels from Kilkeel High School. She is now working towards her Accounting Technician qualification at the Southern Regional College in Newry, through a higher level apprenticeship. 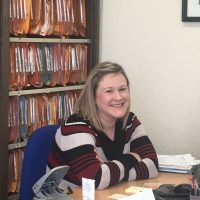 Jenna’s role is to assist with the preparation of accounts and vat returns as well as part of the payroll team, operating both UK and ROI payrolls. She has also been trained in the use of QuickBooks and Kashflow. June joined our team in November 2018. 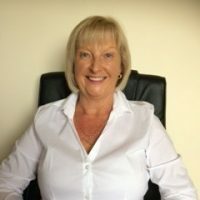 Prior to joining E M Sheehan Limited she had a number of years experience in busy accounting based environments including working in an Accountants office in Lurgan as a Bookkeeper and then working for 25 years in the Construction Industry as a Bookkeeper/Finance Manager. There she processed Payroll, completed and submitted CIS, RCT and VAT returns, Sales/Purchase Controls and assisted in the preparation of Accounts. June’s role in E M Sheehan Limited is to ensure for all our Contractors remain compliant with the accurate monthly reporting for CIS and RCT . She has trained in the use of QuickBooks and Kashflow and uses these packages to report weekly / monthly subcontractor payments. She liaises directly with the Contractors regarding all their CIS / RCT queries and various reporting requirements. 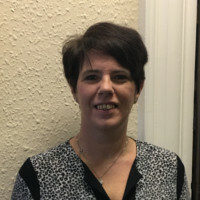 Genna has been a member of the team at EM Sheehan Limitd since December 2018. 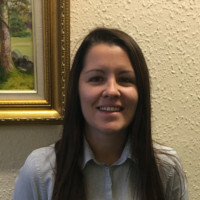 She graduated from Southern Regional College in 2009 as an accounting technician and Genna has over ten years’ experience of preparing accounts for sole traders, partnerships and companies. Genna’s role within the firm is to assist with accounts preparation, book keeping and the preparation of vat returns. Her other duties involve Company Formations and Secretarial duties and she is also a part of the Payroll team running UK and ROI payrolls. She has experience in using Quickbooks, SAGE, Xero and Kashflow.